Do you operate a small business? According to the Small Business Administration (SBA), there are now 30.2 million U.S. small businesses – a number that grows larger each year. As a small business owner, though, you should consider hiring more veterans. 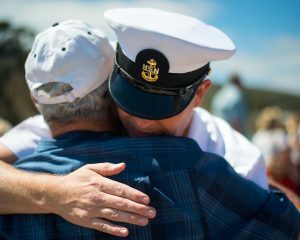 While Hire a Veteran Day isn’t until July 25, it’s a smart business decision for the following reasons. You can rest assured knowing that veterans have excellent teamwork skills. Whether a veteran served in the Air Force, Army, Marine Corps, Navy or Coast Guard, he or she almost certainly learned how to work together with other servicemembers as a team. In the private sector, veterans can apply these same teamwork skills to their job. In addition to having excellent teamwork skills, veterans are also dependable and honest. While serving, veterans learn exceptional work ethics, including honesty and dependability. And like teamwork skills, they’ll carry their work ethics to the workplace. Some workers crumble under pressure but not veterans. Even in high-stress jobs, veterans will continue to perform well. In fact, some veterans perform better under pressure. If your small business operates in a high-stress industry or field, hiring more veterans may give you the upper hand on your competitors. Furthermore, veterans are leaders who will guide other workers to excel and succeed at their respective job. If another worker is unable to perform a specific task, a veteran may use his or her leadership skills to assist the other worker. Your small business could be eligible for one or more tax deductions if you hire a veteran. The Internal Revenue Service (IRS), for example, offers the Work Opportunity Tax Credit, which allows businesses to receive a tax deduction for hiring a qualified veteran. There’s also The Returning Heroes Tax Credit, which offers a tax deduction of up to $5,600 for hiring qualified veterans. If you regularly hire veterans, talk to a tax professional to learn more about which deductions your small business is eligible for. Of course, hiring a veteran will help him or her make a living. Many veterans struggle to find employment after serving in the military. Unfortunately, this has led to an increasing number of homeless veterans. By hiring more veterans, you’ll provide them with an earning opportunity to make a living.